Why Should I Have a Semi-Annual HVAC System Inspection? A semi-annual HVAC system inspection will keep your heating ventilation and air conditioning system working at peak performance all year. The inspection contributes to saving energy and the cost of unexpected breakdowns by identifying worn parts or other issues early. Most inspections are carried out shortly before summer and the winter seasons. Winters are shorter in Florida, but you want that heater to work when the temperature drops. Your air conditioner is in use longer than your heater and it must be in good condition. These are the basics of an HVAC system inspection. The air conditioner’s condensate pan can be cleaned when it has excessive mold and dirt. This pan may be cleaned once a year in a residence while it is cleaned semi-annually in commercial buildings. Air filters in heaters and air conditioners need to be checked at least once every six months. The High-Efficiency Particulate Air (HEPA) filters may need changing every 90 days in some buildings. The filters are a major part of your indoor air quality. They trap dust, animal hair, feathers, pollens and other particulates. Filters are easy to change in most HVAC systems. Many HVAC systems have electronic UV Light Purifiers. These are “bug zappers” that attract and destroy even the smallest microscopic pathogens. This system replaces filters. It should be checked twice a year to keep it clean. A complete HVAC system inspection examines ducts for tears and leaks. This is the section that carries warm and cooled air throughout your home or commercial building. Refrigerant lines must be inspected and ducts kept clean and free of debris for the best indoor air quality. Ductless mini-split systems that circulate air into rooms must also be inspected. All fans sending cooled air into rooms must be clean for maximum efficiency. Your HVAC system inspection also involves checking all electrical connections to the motor that runs the fans and controls air intake and return. 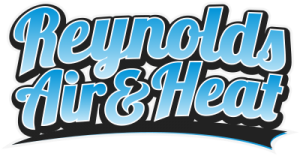 Reynolds Air and Heat serves Brevard and neighboring counties with a semi-annual HVAC system inspection for residential and commercial buildings. Reynolds will also repair old systems and install new HVAC units. Contact Reynolds Air & Heat for more information and to schedule an HVAC system inspection for your home. We offer regularly scheduled maintenance plans for homes and commercial buildings. Thank You Brevard County! Reynolds Air has been awarded the Angie's List Super Service Award for the 7th Consecutive Year!